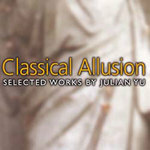 Classical allusion / selected works by Julian Yu. Contemporary Australian flute. Volume 2 / edited by Mardi McSullea and Lawrence Whiffin. 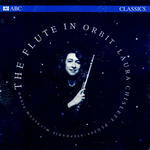 The flute in orbit / Laura Chislett, flutes ; Stephanie McCallum, piano. Scintillation III : for flute and piano / Julian Yu. McSullea/Harvey : music for flute, piano and computer-generated sounds. Music of Julian Yu : excerpts from various works.